Your bag is packed, your boarding pass is printed, and then it happens: Your throat hurts. Or, maybe worse, you’re having a great vacation and suddenly come down with a bug. If it feels like you always get sick around the time of a trip, it’s not your imagination. Travel can be tough on our bodies, says Lin H. Chen, MD, director of the Travel Medicine Center at the Harvard University–affiliated Mount Auburn Hospital and president-elect of the International Society of Travel Medicine. We’re stressed about getting ready to leave. We’re crammed into a small space with lots of people on the way there. We may be waking up in a new time zone and adjusting to a new routine (or no routine at all). Before you go, make a list of health info in case of an emergency. Document health conditions, emergency contacts, medications, allergies, your health insurance, and your travel itinerary, suggests Shanthi Kappagoda, MD, an infectious-disease physician with the Stanford Travel Medicine Clinic in Palo Alto, California. Keep the list on your phone and print a copy just in case. And if you’re traveling outside the U.S., know the number to call in an emergency: It’s probably not 911. Some insurance plans and credit cards may assist with emergency costs, such as if you need to rebook a trip. If not, consider buying travel insurance, which can cover a visit to the doctor or emergency room in a foreign country or help you get home if you need more intensive treatment. Read the fine print, though: Not all travel insurance plans cover preexisting conditions. Check the Centers for Disease Control and Prevention’s Travelers’ Health site for news about regional outbreaks and health advice by country. The World Health Organization also monitors diseases around the globe. If you’re going abroad, you may want to sign up for the U.S. Department of State’s Smart Traveler Enrollment Program, which can help keep you informed about safety conditions and send alerts about the country in which you’re traveling, Chen says. 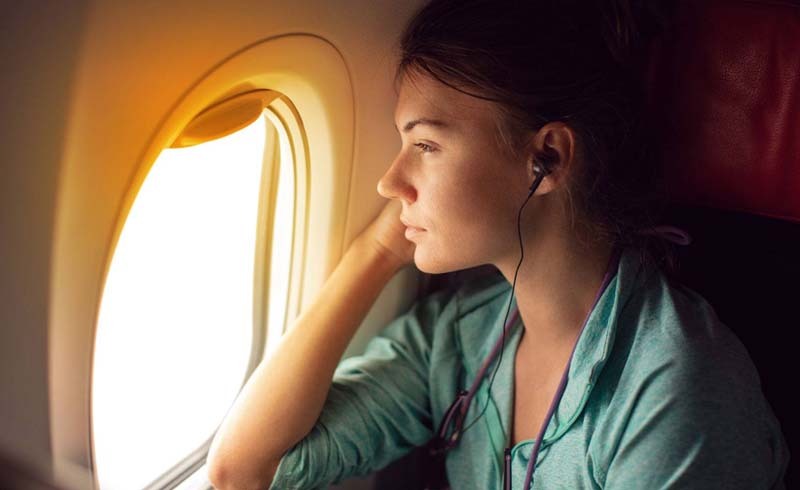 During flights or car trips longer than about four hours, try to take breaks, stretch, and walk around regularly to reduce your risk for blood clots, which older people and women who are pregnant or on certain birth-control medications are especially vulnerable to. Look out for warning signs of a clot, such as redness, swelling, and pain in the calf. Sorry to say it, but the most common travel ailment is travelers’ diarrhea. It can occur if you drink contaminated water or eat food that was undercooked or washed in untreated tap water (or even have a drink with ice cubes made from unfiltered water). If you’re in a country with questionable sanitation, avoid street food and eat only produce that you washed and peeled. Keep bottled water with you for brushing your teeth and washing your face. For minor illnesses, some rest, water, and over-the-counter medication can do the trick. But if a bout of diarrhea lasts more than two days, you have a fever over 101 degrees Fahrenheit for more than a couple of days, or you’re experiencing altitude sickness, see a doctor for treatment. With warmer temps around the globe, you may be at risk for mosquito and tick bites even if you’re not traveling to a tropical destination. Consult a doctor if you feel joint pain, develop a severe fever or headache, or feel nauseated or dizzy, especially if you have a bug bite. Same deal if you develop a rash and fever from a tick bite. In the U.S., call the customer-service number on your insurance card to find a doctor in your network. Otherwise, head to an urgent-care clinic for minor issues. If you think you may need blood work, diagnostic tests, or X-rays, you should find a hospital, since it will most likely be equipped with what you need. If you’re in a big city abroad and don’t speak the language, look for a university teaching hospital, advises Marcolongo. It will likely conform to international health standards and employ English-speaking staff. Both the International Association for Medical Assistance to Travellers and the International Society of Travel Medicine also offer lists of English-speaking doctors and clinics by destination. You may simply need to give in and relax. When Michele Ashley of Oakland, California, traveled to Mexico with her family, her 10-year-old son came down with dengue, a viral disease transmitted by mosquitoes. It was important for him to rest, so Ashley spent most of the trip with him in the hotel. “I took naps, ordered room service, and read,” she says. Honestly, that doesn’t sound like the worst way to spend a vacation.